Russell Crowe and director Ridley Scott join forces once again to re-image the tale of Robin Hood - an origin story echoing their first collaboration, Gladiator. Only, it's not as convincing a display this time around. Scott delivers on spectacle, but our hero is more of a Mr. Nice Guy than the determined Maximus Meridius. He lacks real purpose and the film ends up being a jolly ramble through medieval times. 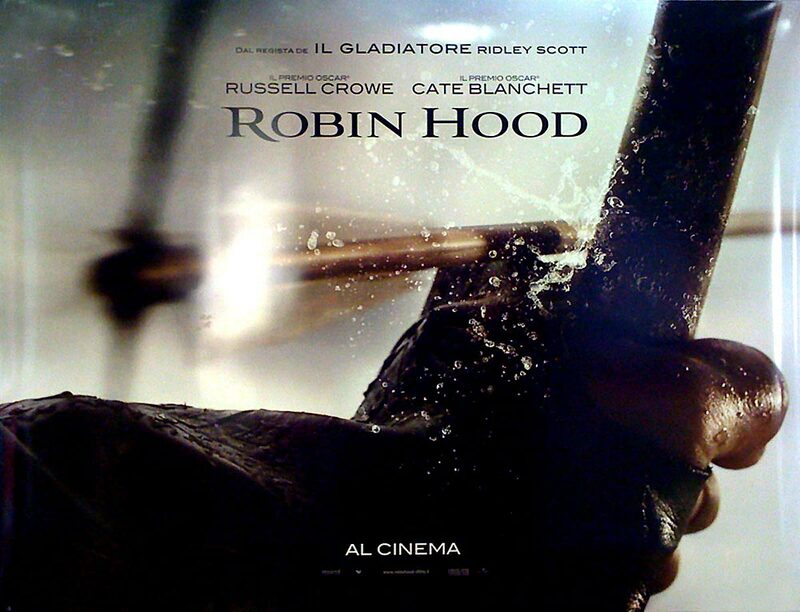 I didn’t really feel it was a movie about about Robin Hood per se, but rather about Englishmen and their battles. I mean if you go into Robin Hood not knowing the title and if you don't pay close attention to a couple of the characters' names it's possible to not even realize this is a Robin Hood movie. It wasn’t nearly as good as Kevin Costner's Prince Of Thieves, but it was a good effort I suppose. It was definitely more raw and gritty than any other Robin Hood movies I’ve seen before. We see the legend born on muddy battlefields as King Richard the Lionhea rt leads his men back to England after Crusading across the Holy Land. However, after the King is slain during battle, Robin set’s out on his own. 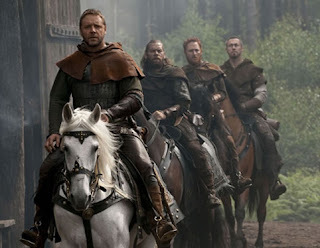 On his path, to who knows where, he meet a dying man, Robert Locksely, and it’s here where Robin Hood vows to bring the man’s sward back to his father in Nottingham. Once there, he agrees to help the impoverished community while agreeing to pretend to be married to Locksley's widow Marion (Cate Blanchett). Meanwhile, France is planning a sneak attack invasion on England, masterminded by Godfrey (Mark Strong), a friend of England's newly-crowned King John (Oscar Isaac) who is in fact working for France's King Phillip. While there are many expectations involved with any Robin Hood movie, Ridley Scott probably wasn't setting out to retell stories we've already seen or heard before, instead he created the groundwork for a version of the story based in the reality of those times. Like I said, it was a good effort, and I was entertained, but I feel as a whole, the movie fell short. It tried to be too many things - an epic action film, a romantic tale, a complex analysis of father/son relationships, a political drama etc. However, it doesn't fall completely flat thanks in most part to the amazing talent and strength of Russell Crowe and Cate Blanchett.